Do You Really Save Money With A Bi-Weekly Mortgage? New home buyers and home owners looking to refinance should always look for the best deals and ways to save money over the length of their home loan. People, unfortunately, do not take the time to really understand what programs are available to them, and what pros and cons those loans involve. One such loan type are the bi-weekly or extra payment loans. Home loans that have more than one payment a month can be very beneficial to those who have the available income. Bi-weekly payments effectively cut the loan term in half, turning a 30 year mortgage into a 15 year mortgage, but still giving the home owner the value of a 30 year mortgage. It isn’t hard to understand the value and savings involved in a bi-weekly structured loan. By paying the total principle down faster, home buyers can reduced the total interest paid over the life of the loan. 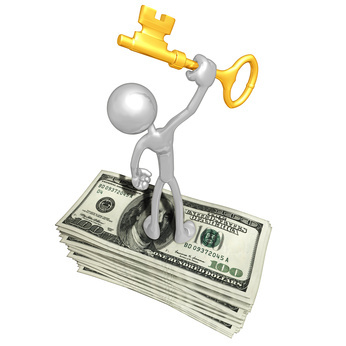 That means extra payment type loans are very cost effective in that they save you a lot of money. However, even though it is cheaper as a savings concept, it costs more in a monthly budget point of view. Home buyers considering signing on to extra payment loans like bi-weekly loans need to consider their expenses and cost of living vs. their income, and decide if they can afford a regularly scheduled extra payment per month. The standard, conventional home loan requires home owners to make a single payment each month over the course of a year. When making 12 payments per year it will take 360 payments in total to pay off the loan amount. Home owners need to take into account the makeup of each loan payment. A home loan payment consists of two elements: the principle and the interest. The principle is the amount of the payment used to pay back the bank for the original loan amount. The interest is the payment you make to the bank in exchange for their risk in lending you the money for your home. Even though every single payment you make to the bank over the length of your home loan will contain both principle and interest, the amounts of each will vary depending on the life of the loan. The beginning of the loan usually carries the most interest. You are paying very little of the principle loan amount back at the start of your loan. The bank is getting its interest payments in bulk at the start for giving you the loan in the first place. In the first five years of a typical loan, very little of the principle is paid down. The official term for this phenomenon is amortization (pronounced: ah-mor-ti-ZHAY-shun). At first, consumers are often taken aback by the higher number of payments in a bi-weekly loan contract. Initial impulse is to think there will be 24 payments of a bi-weekly loan in a 12 month period. After all, monthly payments mean 12 payments per year, it seems like bi-weekly would mean just 2 times that amount, so 24 payments. However, many months have 4 ½ weeks, several even have 5 weeks, making the total number of weeks in a year more. 52 weeks in a year equals 26 payments per year. In contrast, an “extra payment” loan is set up so that home owners have a traditional 12 month payment schedule plus ONE single extra payment per year. That amounts to 13 payments in a year. The way both bi-weekly and extra payment loans work to help home owners save money on interest is that the way a loan is structured only the one payment per month on a loan can be charged interest and remain fair and calculated on an annual basis. That means the extra payment per year, or the second payment each month will consist entirely of principle to pay down the loan. A single extra payment per year can reduce a home owner’s loan term by a full 4 years. ARE BI-WEEKLY HOME LOANS A GOOD CHOICE? Home owners can save a great deal of money with both bi-weekly and extra payment loans. However, there are some drawbacks it is important for potential home buyers and refinancing home owners to consider. While these types of loans will allow them to pay off their loan faster, they are contracted extra payments that must be met. Even though there is no interest applied to the extra payments, the bank will still demand the payments be made on time, every time. Missing payments can drastically reduce your credit rating and even result in defaulting on a loan. Not only do these loans mean paying extra money each month or at the end of the year, it can be more difficult for home owners to manage those payments in their regular budget. The payments on a standard, conventional 12 payment per year loan are on a set day each month. Payments on weekly basis’ rotate according to the number of weeks per month. The due dates of the payments may not easily coincide with income payments. Home owners can get a similar benefit by creating their own extra payment schedule. You do not need to have an official contract with a bank to make the extra monthly payment or extra 1 time per year payment. You can send that money in each month, or save up through the year and make a single extra payment. Home owners will still get the savings benefit without the payment requirement from the bank hanging over their heads. That lets home owners take advantage of the idea of a bi-weekly mortgage without the obligation, so if there are difficult months where it isn’t possible to send in that extra payment, you’re safe. In addition, there can be extra charges for official extra payment home loans. Especially in the case of a single extra payment per year, the cost of creating the loan or the yearly charge for processing the extra payment makes the process wasteful. Always ask about extra charges when considering an extra payment loan, and say no if the lender tries to insist they are necessary. Even though bank loans charge too much, or create financial hardships with extra payment requirements, it is still possible for home owners to get all of the advantages with none of the risks. Simply make the extra payments on your home mortgage on your own. Look for loan options that give you additional value such as zero closing costs, no or low down payment options and low interest rates and you could save yourself a lot of money.